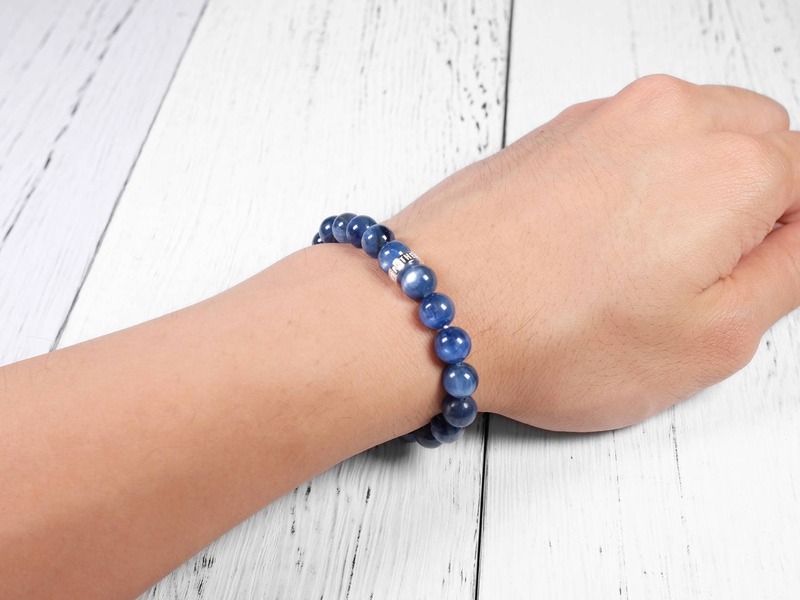 This genuine blue kyanite bracelet has a rich cobalt blue color. Most of the beads have light spots, which is one of the characteristics of this beautiful stone. 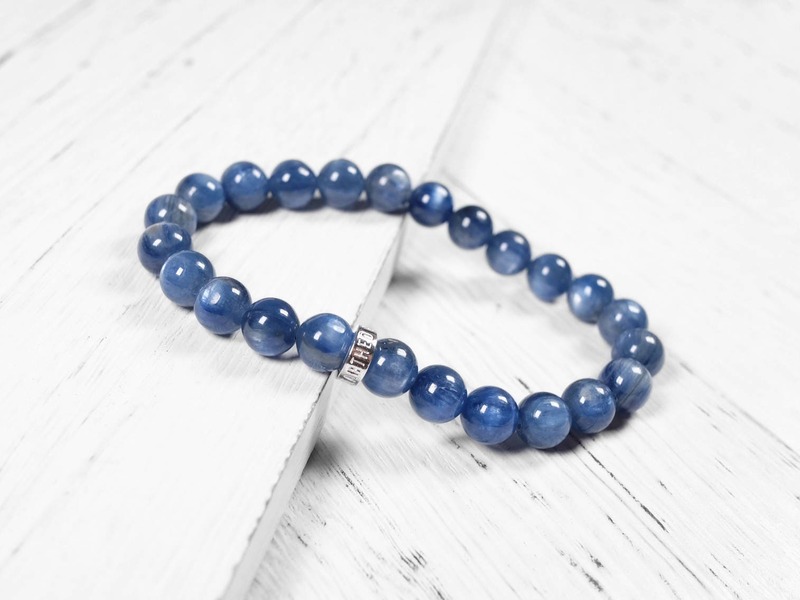 The color is rich with only a little yellow and grey tone, making it a great quality kyanite bracelet at an affordable price. 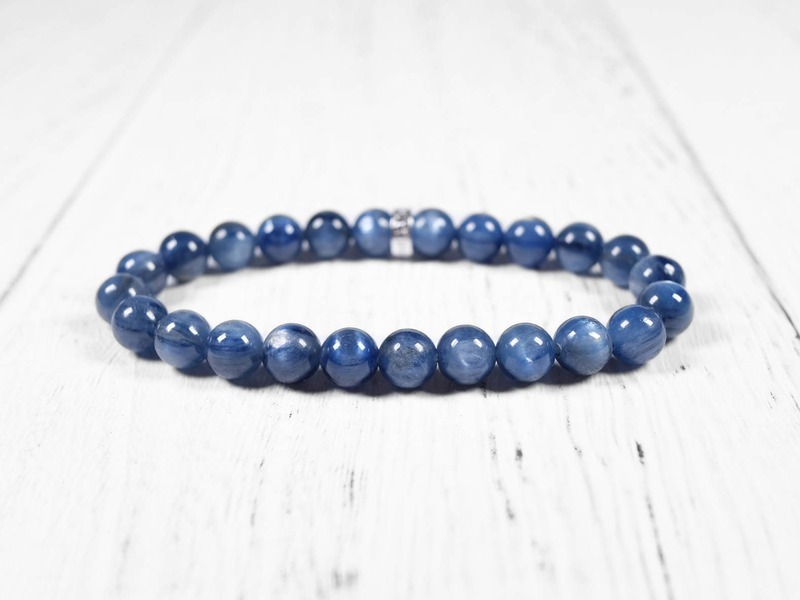 Great choice if you are looking for a high quality blue kyanite bracelet. 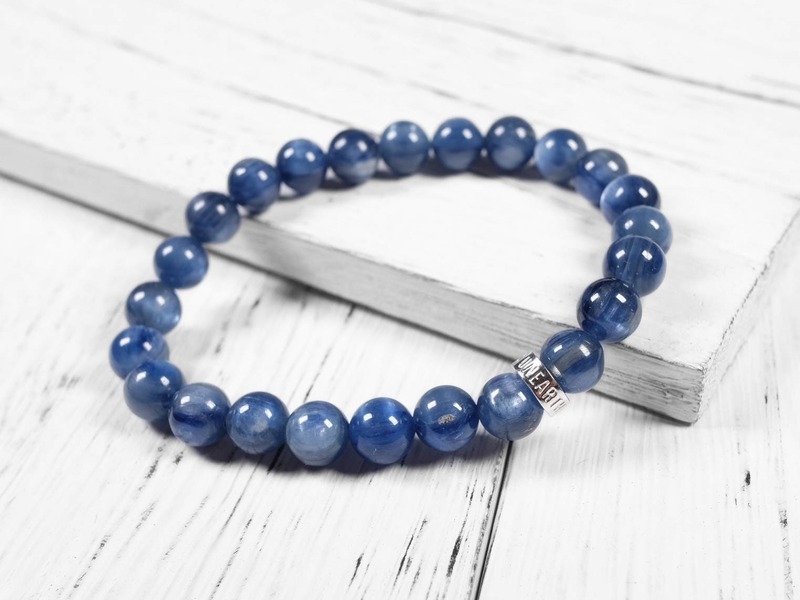 Kyanite is named after the Greek word “kyanos”, which means “deep blue”. 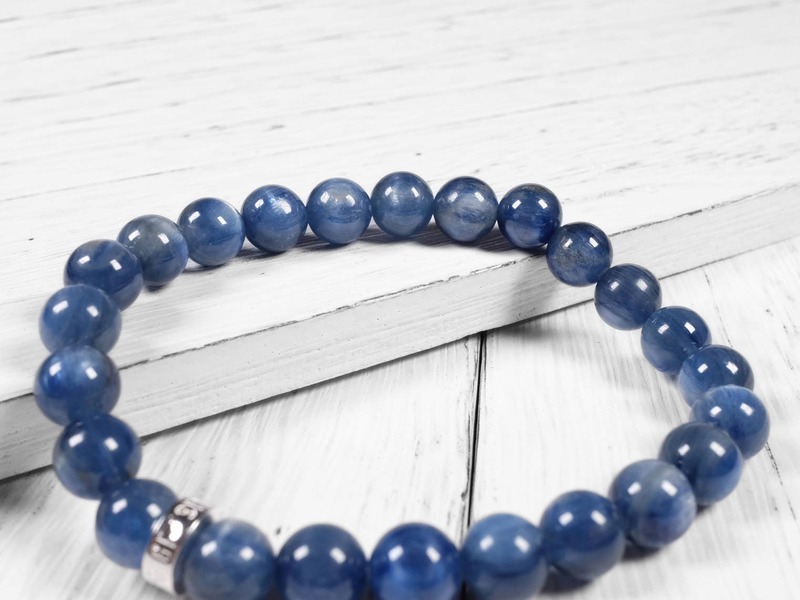 High quality kyanite crystals have royal blue colors that rival the color of sapphire. 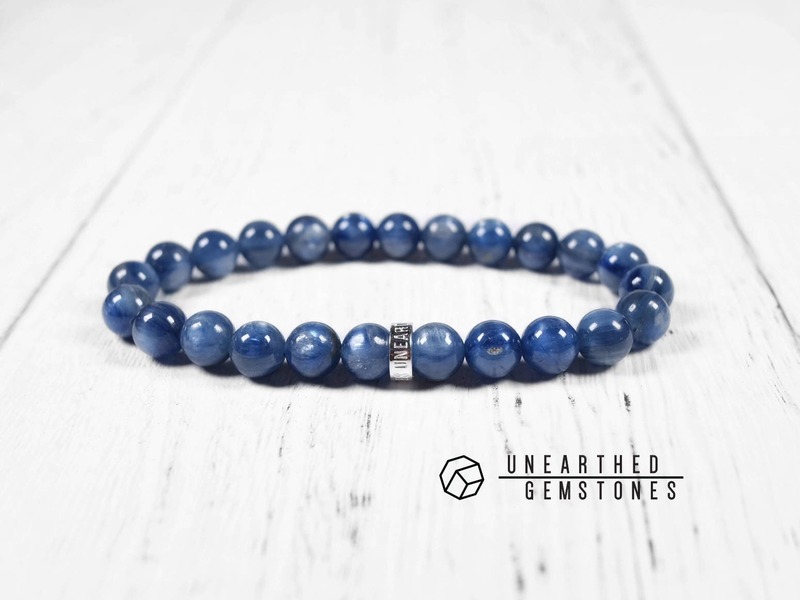 Kyanite can also be green, orange and colorless. 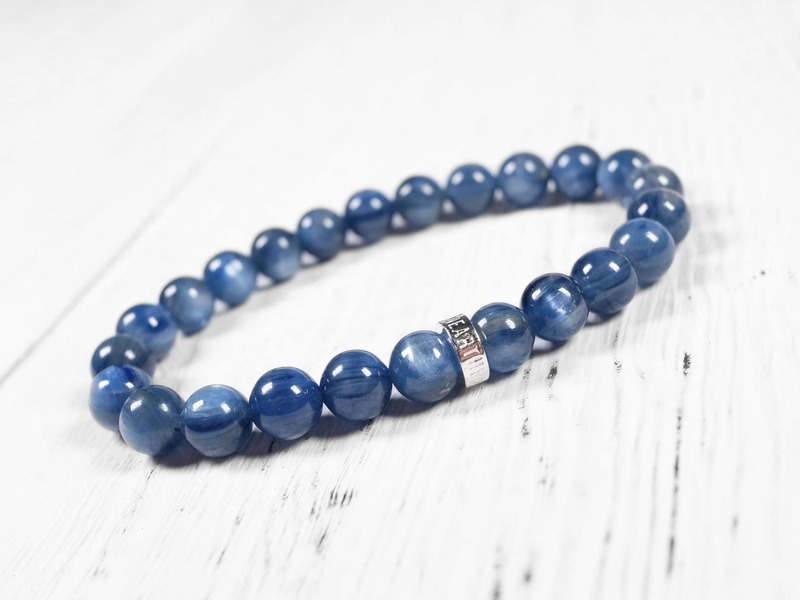 Often, kyanite has inconsistent colors or a grey tone to the color, both of which lower the value of the gemstone. Interestingly, it is formerly known as disthene, which means “two strengths”. This is because it exhibits two different hardness: a hardness of 7 for its perpendicular axis and a 4.5 for its parallel axis. As always, it’s perfect with amazing quality! 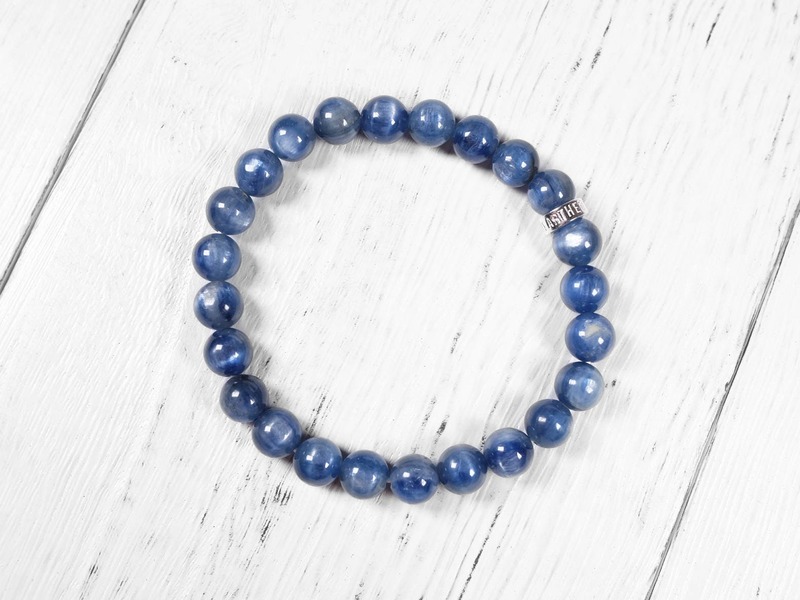 The stones on this bracelet are magnificent. 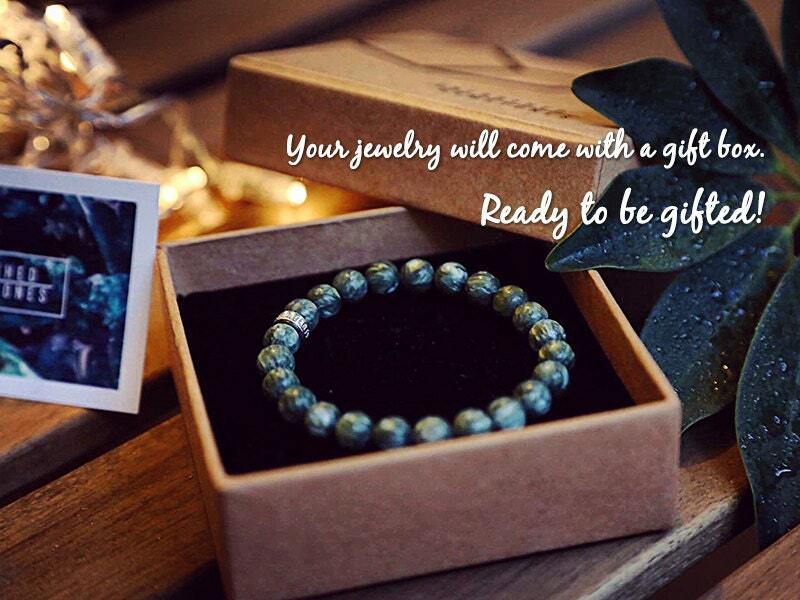 I just simply love them and the bracelet fits perfectly. Very well made and worth the wait. Highly recommend.